I can only blame it on my exams! Studying brings out my worst eating habits. BUT, now that it is all over, this week and I am getting back into my healthy eating routine. 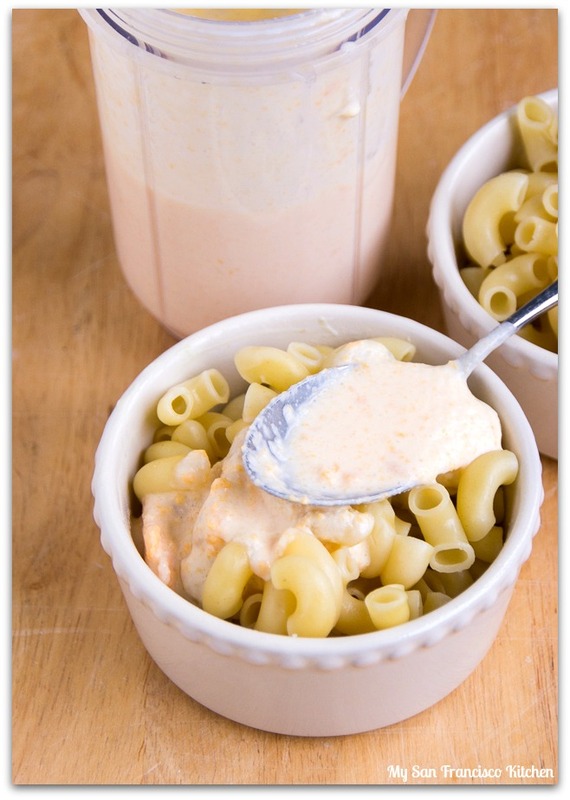 I must say, it is pretty fun to eat whatever you want every now and then… Macaroni and cheese has always been a favorite comfort food of mine, and I discovered a really easy way to make the cheesy sauce. You can have your mac and cheese in under 30 minutes with this recipe! While boiling the noodles al dente, add the sauce ingredients to a blender and pulse a few times until everything is evenly mixed and smooth. Then, just pour it over the noodles in ramekins (for individual portions) and bake in a pre-heated oven until the top is crispy. It is so easy! Make a large batch and store the leftovers in the refrigerator for up to 3 days. You can make this baked cheddar macaroni and cheese as a side dish or the main course for lunch or dinner. For all of my San Francisco Bay Area readers, Tillamook’s Cheese, Yogurt and Ice Cream Tour has come to SF and will be here the entire weekend (June 13-15th) in the Sunset District (403 Irving St form 9AM-8PM). Be sure to stop by and get some samples from them!! 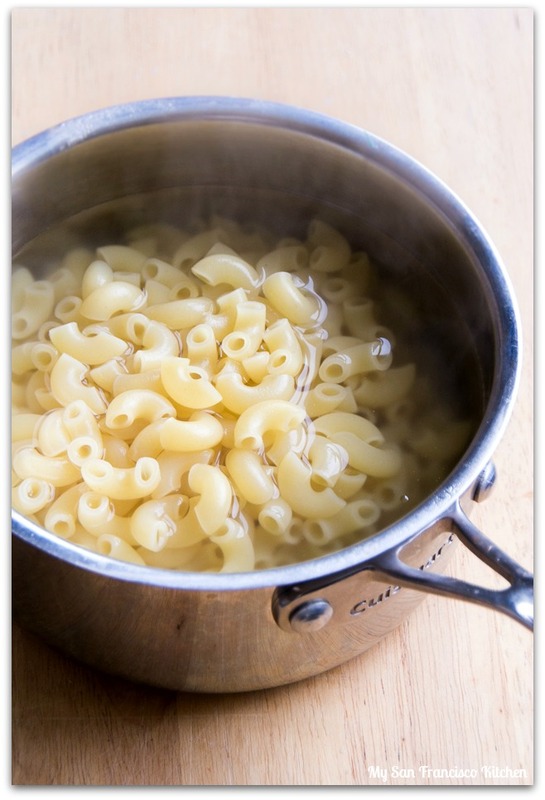 Divide the cooked macaroni into four greased 4-inch ramekins. 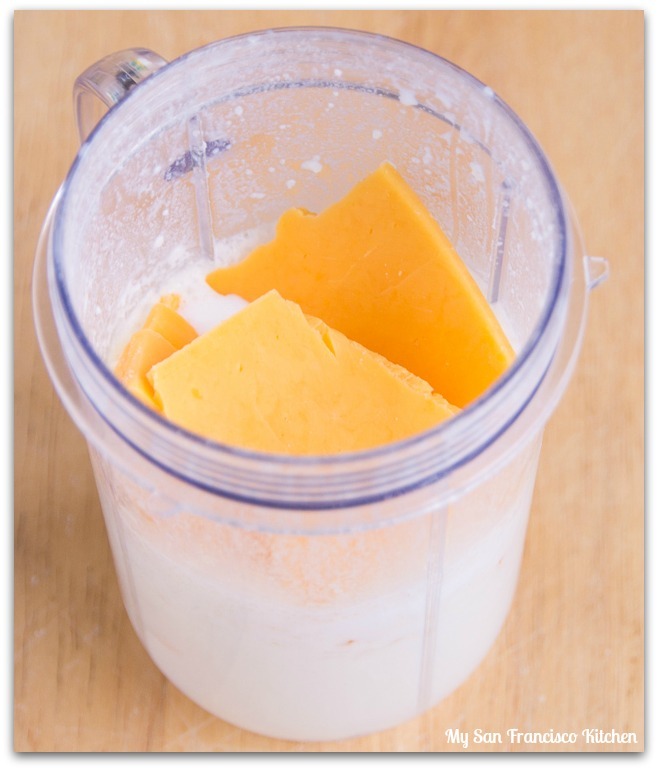 Add the milk, butter, salt, cheese, and flour into a blender. Blend the ingredients for 20 seconds, until the cheese is finely chopped and dispersed (sauce should turn an orange color). Divide the cheese sauce among the ramekins, pouring over the top. Sprinkle Panko bread crumbs on top of each ramekin. Bake for 15 minutes, until the top turns golden brown. This entry was posted in American, Dinner, Lunch, Sides and tagged blender, cheddar, cheese, pasta. Oooh, what a neat shortcut for mac and cheese!!! Definitely comfort food…and oh, so tempting!!! Congrats on passing your first exam! And this comfort food is the perfect approach! Congrats on passing your first exam!!! When my life gets hectic and stressful, I crave comfort food too! 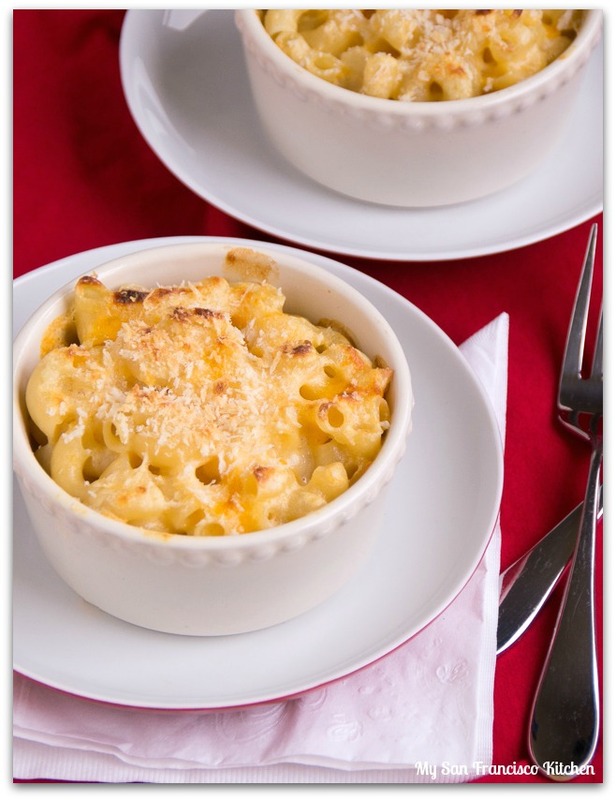 This mac and cheese looks deliciously cheesy! Woohoo, congrats Kristi!!! Passing an exam is always a fabulous feeling, but when your future is riding on it, even better!!! This mac and cheese looks SO GOOD. Congrats on passing the first exam! Great news! And this mac ‘n cheese would be great news at our house — we love the stuff. This looks great — thanks so much. And girl I am NOOOT complaining! Mac n cheese & lava cakes are right up my alley! 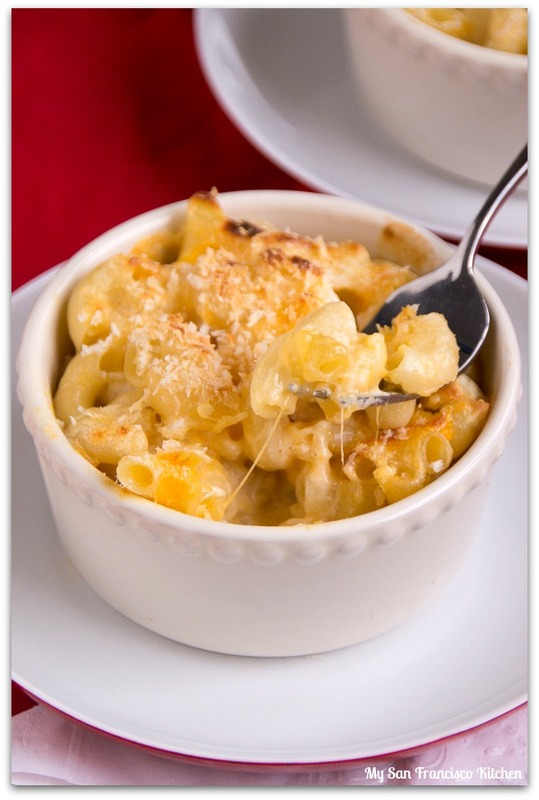 loooove this recipe-so cheesy and comforting!